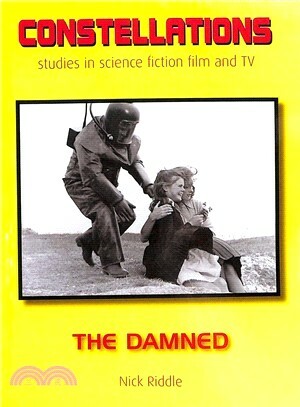 The Damned (1963) is the most intriguing of director Joseph Losey’s British ‘journeyman’ films. A sci-fi film by a director who hated sci-fi; a Hammer production that sat on the shelf for over two years before being released with almost no publicity as the second half of a double bill. Losey was a director vocal in his dislike of depictions of physical violence, but he often made films that radiate an energy produced by a violent clash of elements. The Damned catches a series of collisions—some of them inadvertent—and traps them as if in amber. Its volatile elements include Losey the blacklisted director, Hammer the erratic British studio, Oliver Reed the 'dangerous' young actor, and radioactive children. Nick Riddle’s contribution to the Constellations series concentrates on historical and cultural context, place, genre, and other themes in order to try to make sense of a fascinating, underappreciated film. Nick Riddle is a writer and editor at the University of Bristol, UK, and has contributed to a number of volumes in the Intellect series Film Locations.